The holiness stream focuses on an ever deeper formation of our inner personality, our heart, to enable us to live whole, functional lives in a dysfunctional world. Renovare, the organization founded by Quaker theologian Richard Foster, also author of Streams of Living Water, describes the holiness tradition as highlighting “the re-formation of our hearts so that we are able to respond appropriately to the challenges of life. The word ‘holiness’ has some negative connotations today, but the original Greek meaning of the word virtue is simply ‘to function well,’” according to the Renovare website. 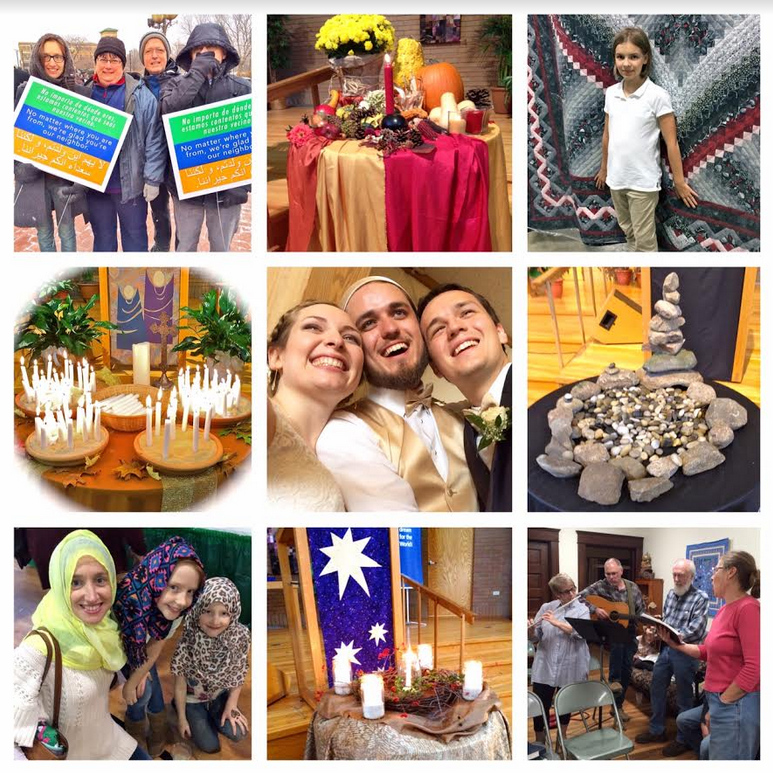 Yesterday, as our Kern Road worship service focused on the holiness stream, the second in our six spiritual traditions series and what Renovare references as the ‘Virtuous Life: Responding with integrity,’ we learned from Pastor Janice that this tradition is commonly seen as the one in which Anabaptism came into being. Her words took me back to the early years of my Mennonite upbringing when it seemed to me that the church spent much time exhorting young women in particular not to participate in the ways of the world. We were expected not to cut our hair, to wear our skirts long and never to dress in pants or shorts, to avoid makeup and jewelry. Families did not own television sets or buy gas or restaurant food on Sundays. Janice reminded us in her sermon that a “holy life is one that functions well, rather than (the living out of) a list of dos and don’ts.” The collage at the top of this post reflects some of the ways Kern Road enables us to function well as a community of faith and as individuals within that community (from top to bottom and left to right): marching for the marginalized, offering gratitude for the harvest, participating in the Indiana/Michigan Mennonite Central Committee relief sale, honoring those who have gone before us, supporting our newlyweds, observing the season of Lent, learning from our Muslim neighbors, celebrating Advent, making music together. How has the holiness tradition impacted your life? How are you being called to respond to your circumstances with integrity, to function well where you find yourself?